Few years age, a blogger wrote a blog post, largely addressing the issues faced by Safaricom advantage users. The thrust of the post was that Safaricom neglects its post paid users; they get no promos on double your airtime, they have lesser products etc. That blogpost reminds me a lot, especially when I have issues with Safaricom voice, I always remember that once you commit to pay you bill at the end of the month, you cease to be an important customer that needs to be courted; think of pre paid customers as girlfriends/boyfriends who need continuous impression and the postpaid customers as wives/husbands, who have made their decision and have to put up with whatever problems arise. But the thing about Safaricom that I never understand is why they disconnect calls mid conversation; whether the bill is due or not, I think its just rude, plain and simple. Its a saturday morning, I have a breakfast meeting with a business contact, I get to the meeting point, but have to tell my contact which Cafe I am at; that was the agreement. Just when I started that conversation and before I could say where I was, the phone was disconnected; on checking, the phone was dead but that was because my bill was due two days ago and forget that I had 1,000 left of the maximum amount that I could use, and Safaricom had that deposit. So, I sat there wondering whether to send the business contact a call me back, whether to leave the tea and start walking around looking for the person, or to look for a Safaricom shop and pay the bill and this is the point where you curse for not having money on Mpesa. As I sat there seething with anger and wondering my next cause of action, Dorcas Muthoni walks in; she asks what my problem was and I explained. She laughed for about a minute and then she recounted her own problems and how discontinuation of calls mid conversation angered her, until she discovered the voice bundles, which she doesn’t exhaust and her bill drastically reduced. We agreed that the best thing is to cancel the postpaid contract and get the bundles. And I felt better after that conversation. In the meantime, I got a text from the person I was meeting, to say that they have had to rush, I almost asked why they couldn’t call me but hey, I needed them more than they needed me and it was incumbent upon me to sort out my problems. Thats what happens when you want to take five minutes with people who are going to other meetings or had other stuff to do around that venue. So, after waking up early and getting disappointed, I walked to the Safaricom shop and there was a queue, maybe five people but believe me, it was almost an hour before I got to the counter, I thought it was easy, you guys have my deposit, I still have a k on that deposit, so we can cancel out and subscribe to the new bundle. First I was told to write a letter cancelling the old contract, then she went behind the door, took fifteen minutes and came back with a lady called Edith, I think she was the manager or the person who calls the shots. She explained to me that I have to pay the bill first, write a letter, it goes to credit control, and it will take another two days to reactivate my new bundles. As she is talking, I am getting worked up, you have my money and you are treating me this way? Well that is what policy says. In my head, I had a few statements that I would have said to that lady but then, she was only a messenger, I am sure Bob Collymore and his team of policy experts do not consult here on some of the insults she has had to endure because of lopsided policies and aggrieved customers who expect Safaricom to treat them better. In the end, I was having a bad day, I decided to to give her a bad day by unleashing my angry tone and I walked away, to go look for money to pay the bill and come back. But that queue at Safaricom care centre at Sarit always discourages me. Imagine the look I gave her when she said that I have to queue again. Next article“DSTv rewards” campaign doubles cash prize for Easter weekend! This reminds me of my experiences with the then Zain Kenya when I had a post paid contract with them. They would change policies without my knowledge and slap me with ridiculous bills that I simply refused to pay. I have not recovered from those days and I stay away from them for my telecoms needs. 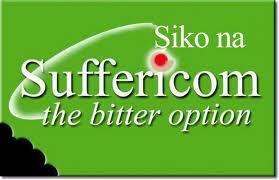 The problem is the safaricom care center at Sarit, it has the most unproffessional staff in the whole world!!! Whoever is incharge of care centres should overhaul that shop! Has your work been plagiarized?